Compositech stocks direct OEM replacement Bearing Housing Assemblies for Eimco®, Enviroquip, Komline-Sanderson, Parkson, Andritz, Ashbrook, Sernagiotto, Sernatech, Siemens, US Filter and most other brands of Belt Press Filters and Horizontal Belt Filters. We provide speedy delivery on SKF, Dodge, Fafnir, Browning, and all other hard to find bearing housing assemblies. 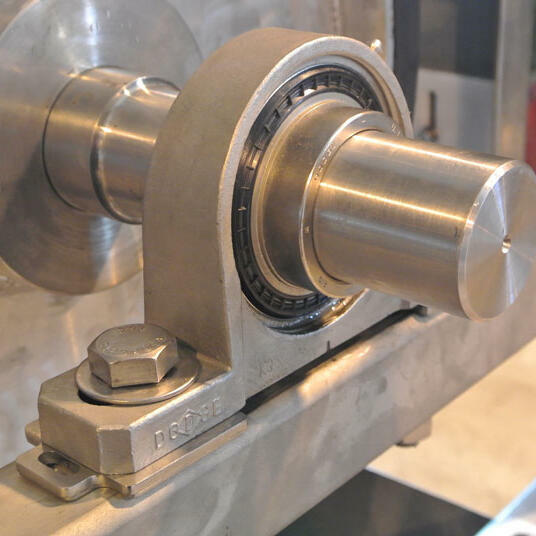 In addition to our selection of complete assemblies, Compositech also stocks seals, snap rings, spherical roller bearings, and individual housings. 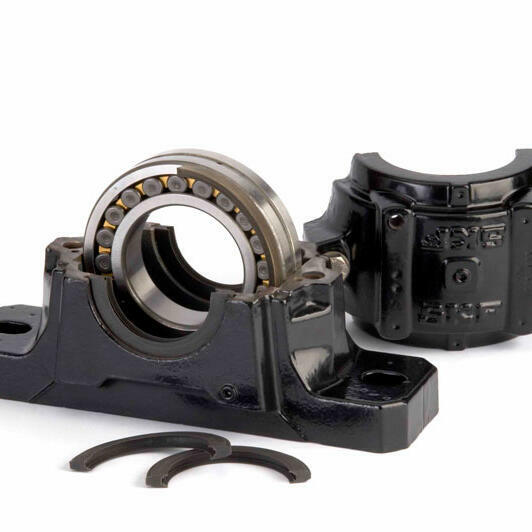 Our inventory includes standard OEM replacement seals for all makes of bearing housings and a supply of SKF "E" Series Spherical Roller Bearings. These high quality roller bearings are an industry standard with a minimum L10 life of 500,000 hours. Compositech stocks individual bearing housings with stainless steel fasteners. For increased reliability and dramatically improved life span, we spray our housings with a thermo-plastic nylon coating which provides a durable chemical resistance. In addition to bearing assemblies used by Belt Press Filter and Horizontal Belt Filters, for our Drum Filter customers, we keep in stock a good supply of bearing liners which are an essential part of a drum filter overhaul. We manufacture bearing liners of MDS-Nylon and Bronze made to the original equipment specifications or oversized as the application requires.